De-stress Your Life in 31 Days! Do You Want to Publish a Book? Ask a Catholic Editor! 40 Day Challenge: Give Your Love a Faith-Lift! The other day I came across David Clayton’s “The Way of Beauty” series at Catholic.TV. An iconographer and artist-in-residence at St. Thomas More College in New Hampshire, Clayton explores the art and architecture of various time periods, to show how the transcendent was communicated even to the illiterate . . . through beauty. The highly stylized beauty of icons is something that can be appreciated on many levels; learning how to interpret the artist’s intention can greatly increase one’s appreciation for the image. What is true for icons is also true for us as women: The more we know about the intention of God, the Creator, the better we are able to recognize our own “way of beauty,” and see it in the world around us. So, today’s de-stresser? Orient yourself toward beauty in order to feed that “hidden person of the heart.” Like Julie Cameron in The Artist’s Way recommends, make an “artist’s date” with yourself to experience the world with all your senses, and drink in the beauty. Thank God for it, and use that moment of thankfulness to begin a dialogue. For all that is most beautiful, ultimately points to the Artist. 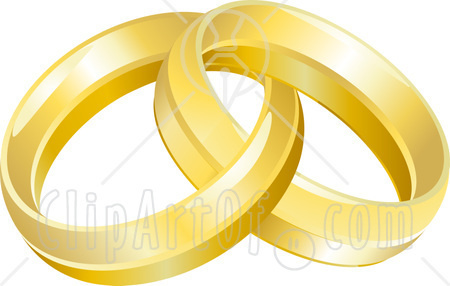 Is your marriage struggling, or just not as golden as it once was? Today’s contribution may speak to you. “When I got home that night as my wife served dinner, I held her hand and said, I’ve got something to tell you. She sat down and ate quietly. Again I observed the hurt in her eyes. Suddenly I didn’t know how to open my mouth. But I had to let her know what I was thinking. I want a divorce. I raised the topic calmly. She didn’t seem to be annoyed by my words, instead she asked me softly, why? I avoided her question. This made her angry. She threw away the chopsticks and shouted at me, you are not a man! That night, we didn’t talk to each other. She was weeping. I knew she wanted to find out what had happened to our marriage. But I could hardly give her a satisfactory answer; she had lost my heart to Jane. I didn’t love her anymore. I just pitied her! With a deep sense of guilt, I drafted a divorce agreement which stated that she could own our house, our car, and 30% stake of my company. She glanced at it and then tore it into pieces. The woman who had spent ten years of her life with me had become a stranger. I felt sorry for her wasted time, resources and energy but I could not take back what I had said, for I loved Jane so dearly. Finally she cried loudly in front of me, which was what I had expected to see. To me her cry was actually a kind of release. The idea of divorce which had obsessed me for several weeks seemed to be firmer and clearer now. The next day, I came back home very late and found her writing something at the table. I didn’t have supper but went straight to sleep and fell asleep very fast because I was tired after an eventful day with Jane. When I woke up, she was still there at the table writing. I just did not care so I turned over and was asleep again. In the morning she presented her divorce conditions: she didn’t want anything from me, but needed a month’s notice before the divorce. She requested that in that one month we both struggle to live as normal a life as possible. Her reasons were simple: our son had his exams in a month’s time and she didn’t want to disrupt him with our broken marriage. This was agreeable to me. But she had something more, she asked me to recall how I had carried her into out bridal room on our wedding day. She requested that every day for the month’s duration I carry her out of our bedroom to the front door every morning. I thought she was going crazy. Just to make our last days together bearable I accepted her odd request. I told Jane about my wife’s divorce conditions. . She laughed loudly and thought it was absurd. No matter what tricks she applies, she has to face the divorce, she said scornfully. My wife and I hadn’t had any body contact since my divorce intention was explicitly expressed. So when I carried her out on the first day, we both appeared clumsy. Our son clapped behind us, “Daddy is holding mommy in his arms.” His words brought me a sense of pain. From the bedroom to the sitting room, then to the door, I walked over ten meters with her in my arms. She closed her eyes and said softly; don’t tell our son about the divorce. I nodded, feeling somewhat upset. I put her down outside the door. She went to wait for the bus to work. I drove alone to the office. On the second day, both of us acted much more easily. She leaned on my chest. I could smell the fragrance of her blouse. I realized that I hadn’t looked at this woman carefully for a long time. I realized she was not young any more. There were fine wrinkles on her face, her hair was graying! Our marriage had taken its toll on her. For a minute I wondered what I had done to her. On the fourth day, when I lifted her up, I felt a sense of intimacy returning. This was the woman who had given ten years of her life to me. On the fifth and sixth day, I realized that our sense of intimacy was growing again. I didn’t tell Jane about this. It became easier to carry her as the month slipped by. Perhaps the everyday workout made me stronger. She was choosing what to wear one morning. She tried on quite a few dresses but could not find a suitable one. Then she sighed, all my dresses have grown bigger. I suddenly realized that she had grown so thin, that was the reason why I could carry her more easily. Suddenly it hit me… she had buried so much pain and bitterness in her heart. Subconsciously I reached out and touched her head. Our son came in at the moment and said, “Dad, it’s time to carry mom out.” To him, seeing his father carrying his mother out had become an essential part of his life. My wife gestured to our son to come closer and hugged him tightly. I turned my face away because I was afraid I might change my mind at this last minute. I then held her in my arms, walking from the bedroom, through the sitting room, to the hallway. Her hand surrounded my neck softly and naturally. I held her body tightly; it was just like our wedding day. But her much lighter weight made me sad. I moved her hand off my head. Sorry, Jane, I said, I won’t divorce. My marriage life was boring probably because she and I didn’t value the details of our lives, not because we didn’t love each other anymore. Now I realize that since I carried her into my home on our wedding day I am supposed to hold her until death do us apart. Jane seemed to suddenly wake up. She gave me a loud slap and then slammed the door and burst into tears. I walked downstairs and drove away. At the floral shop on the way, I ordered a bouquet of flowers for my wife. The salesgirl asked me what to write on the card. I smiled and wrote, I’ll carry you out every morning until death do us apart. That evening I arrived home, flowers in my hands, a smile on my face, I run up stairs, only to find my wife in the bed -dead. My wife had been fighting CANCER for months and I was so busy with Jane to even notice. She knew that she would die soon and she wanted to save me from the whatever negative reaction from our son, in case we push through with the divorce.— At least, in the eyes of our son—- I’m a loving husband…. Today’s Love in Action. Are you thinking about getting a divorce? Before you do, consider taking the 40-Day Challenge . . . Or, if your spouse will join you, consider Retrouvaille. This week I’m writing from the beautiful Black Rock Retreat Center in south central PA, attending the week-long “Head and Heart” Immersion Course offered by the Theology of the Body Institute, to seep in the teachings of Blessed John Paul II on the sacramental view of the human body, and in particular through our sexuality. I won’t kid you, it has also been an excellent opportunity for me to catch up on some much-needed rest. No television or email in the room (I was warned there would be no Diet Coke machines, either, so I came fortified). Augustine refers to Saint Paul, who speaks of himself as straining forward to the things that are to come (cf. Phil 3:13). He then uses a very beautiful image to describe this process of enlargement and preparation of the human heart. “Suppose that God wishes to fill you with honey [a symbol of God’s tenderness and goodness]; but if you are full of vinegar, where will you put the honey?” The vessel, that is your heart, must first be enlarged and then cleansed, freed from the vinegar and its taste. This requires hard work and is painful, but in this way alone do we become suited to that for which we are destined. Even if Augustine speaks directly only of our capacity for God, it is nevertheless clear that through this effort by which we are freed from vinegar and the taste of vinegar, not only are we made free for God, but we also become open to others. It is only by becoming children of God, that we can be with our common Father. As a Catholic, I believe in the concept of “redemptive suffering,” that the pain we bear in this life can be applied in effective intercession for our own intentions and on behalf of those for whom we pray. This “prayer of agony” is aptly named . . . of course none of us would choose it. But in accepting it, even embracing it, we allow God to bring something good out of it. That is my hope. That is my prayer: that at the end of the pain, comes the joy. 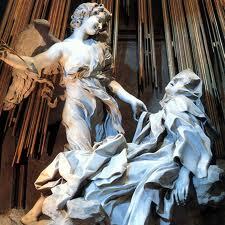 Saint Teresa of Avila, pray for us! “Leaving the crowd, they took Jesus with them in the boat just as he was. What boats? You may well ask. As the squalls kicked up, all but capsizing the fishing boat in which the Lord and His disciples were resting … we must assume that the surrounding boats were in similar straits. Being thrashed and buffeted by the prevailing wind and rain. Their occupants similarly terrified. Perhaps even more so — they didn’t have Jesus in their boat! There are some situations in life that, honestly, I don’t know how you endure without faith. The death of a loved one. A shattering disappointment. A brush with your own mortality. Being a Christian doesn’t anesthetize us to the real pain these situations inflict upon the heart. But it does — or at least should — make a difference in how we process that suffering. It is blatantly dishonest to deny the existence of the pain. Even the Lord Himself cried out from the cross, “My God, my God, why have you forsaken me?” The pain is real, and it can be life-altering. However, for the Christian, our grief need not define us, or cause us to founder and go under. Rather, faith lends a vital perspective — that Someone bigger and wiser than us holds those mysteries in His hands, and will entrust them to us when the time is right. Yesterday was a hard day. Although I don’t cry a lot, I found myself weeping profusely … twice. I’d prefer to keep the details of the first occasion to myself, but I wanted to share the second one with you here. This snippet from “Britain Has Talent” is a rare gem from a middle-aged Catholic woman named Susan Boyle who dedicated her entire life to tending to her parents … and only after they had died got a chance to fulfill her own dream and her mother’s last request, to share her gift, publicly, with the world. Check out this YouTube bit … you’ll be glad to hear that some dreams never die … and reminded that not all Extraordinary Moms tend to children. Some care for parents as well. And if you’re still feeling a bit blue, check out this beautiful video sent to me by my friend Deb Elmore. If anyone knows the original artist please let me know, as I would love to give credit to him or her! I’ve put both links in the “inspirational” section of the blogroll, in case you need them again. Update: On April 15 I got a note from Ben’s mother, thanking me for the post … and letting me know that, two years after Ben’s death, they adopted two girls from Russia! On March 29, 2002 — Good Friday seven years ago — three-year-old Ben Packard suddenly died of croup. His parents desperately wanted to find a way to bring some kind of healing out of their personal tragedy. “Ben’s Bells,” grew to become a community effort that recognizes the power of kindness. In memory of little Ben, people in the Tucson, Arizona area gather to create these beautiful ceramic windchimes … and send them to selected recipients (it’s called “belling”), whose act of kindness has made a difference in the life of local residents. To date more than 11,000 sets of bells have been distributed. One of the recent recipients of this award are foster parents Barbara and James Reyes, whose story was run in the Arizona Daily Star last February. Ben’s mother Jeannette tells their story here. The site offers instructions on how to start a chapter of the “Bells” in your own community as well! This week the Knights of Columbus are doing their annual “Tootsie Roll Drive” to benefit local mental health support services, including the St. Louis Center and Special Olympics. We hand out Tootsie Rolls in exchange for small donations. In one sense, we could have picked a better weekend. It was cold and blustery, spitting little raindrops intermittently against pavement and eyeglasses and turning our hands to red, chapped icesicles. On the other hand, the sight of us hunched against the cold seemed to make people dig more deeply as they tossed change into our buckets. Not everyone, of course … Some averted their eyes as they dashed past. But most had a kindly expression as they handed over their dollars. One store owner even brought me a cup of tea and invited me to stand in the entranceway, out of the cold. I was proud of Craig, who actually chased people with shopping carts to their cars for a contribution. He came back with a full can. I waved and held the door open for restaurant patrons that didn’t seem to see me standing there … and returned with the bottom of my bucket about an inch deep. I couldn’t help but think about the young men and women served by the organizations we were collecting for. How often do they feel invisible, as though people are embarrassed at the sight of them? Do they ever feel like charity cases, rather than valuable human beings deserving a little support? When was the last time I gave one of them a cup of tea … just because I was glad they were there?